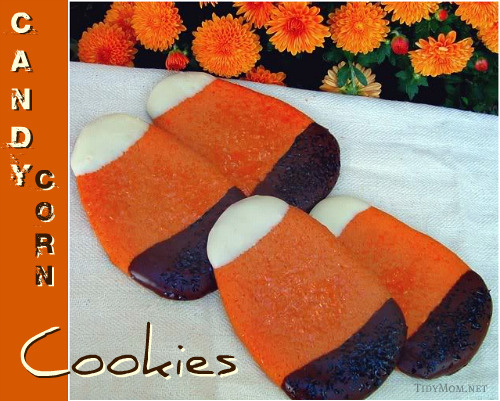 I first posted these Candy Corn Cookies last year when Allison and I made them! They are just too cute and easy not to post them again this year!! Knead the dough until orange. Roll dough and cut cookies with candy corn cookie cutter (or you can use a triangle cookie cutter). Bake for 10 mins. Let cool. Dip bottom of cooled cookie in melted Baker’s chocolate, and dip top end in melted white Baker’s Chocolate. Freeze for 5 mins. to set. Once you have your favorite recipes in your Recipe Box create a Meal Plan with them and the ingredients will automatically be added to a Grocery List! 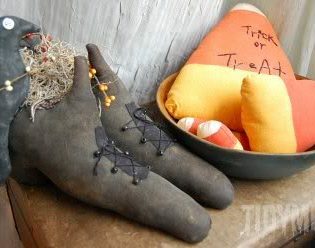 I hate candy corn but I bet I would LOVE these! I may have to give these a try! You are right…they are cute and easy.Thanks for sharing! Wow, these do look easy…and SUPER CUTE! These are SO adorable…and simple! Thanks! These will be perfect to go along with the candy corn cupcakes you shared earlier! I can't wait to try both of these goodies! Adorable and yum, want one now!!! Well, I think these are just ADORABLE!! May just have to try them out. These are great! I am always looking for something to take for the kids snacks at school. They get so tired of goldfish. Those are so cute!! Thanks for sharing! Thanks for joining in the fun at Fri Favorites! Those are wonderful! I’m glad you didn’t let them get lost in cyberspace! Thanks for sharing … I’ve posted a link.